On behalf of the officers and staff of the Plymouth Community Ambulance Association, we would like to wish you all a happy and safe holiday! 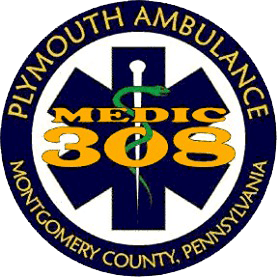 Pictures with Santa are from 9:30 am to 11:30 am at Plymouth Ambulance 902 Germantown Pike Plymouth Meeting, PA. Light food, refreshments and apparatus staging begin at 11:30. We will depart for Bryn Mawr at 1:00pm and then continue to St. Christopher’s for our final destination. Shop for great deals at smile.amazon.com, and Amazon will donate to Plymouth Community Ambulance Association. The 7th Annual Plymouth Community Ambulance Association Golf Outing is being held on Wednesday June 14, 2017 at Landis Creek Golf Course. The Norristown Fire Department is now the first municipal fire department in Montgomery County to carry the anti-opioid drug Narcan.